Businesses must understand and overcome lingering doubts from their customers and employees. While the media continues to debate artificial intelligence (AI), businesses are clear. AI is here to stay. That’s what the findings from our second global study of artificial intelligence with senior executives, consumers, and workers tell us. Progress since our 2017 AI study has been strong. Most senior executives say their organisations have plans for AI in the next three years. And consumers have become more comfortable with AI too. But some doubts and disconnects remain. Potential bias and discrimination from AI-based decisions, data protection, and the future job market still concern many. And while the majority of workers are keen to be retrained and senior executives say their organisations offer reskilling, only a minority of workers have had any. The adoption of AI is rapidly growing in the workplace; however, to take full advantage of AI’s opportunities, businesses must understand and overcome lingering doubts from their customers and employees. 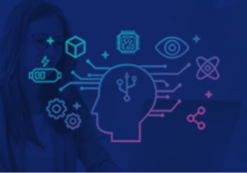 This second edition of Genpact’s research series, AI 360: insights from the next frontier of business, analyses perceptions of three distinct audiences – senior executives, the employee base, and consumers – that are critical to AI’s widespread adoption in business. The latest results show remarkable progress since the inaugural 2017 study. For example, 53 per cent of consumers say AI is making their lives better, up from just a third in 2017. And workers are more likely to say AI brings career opportunities (36 per cent) than believe it threatens their jobs (28 per cent). One of the most important shifts is the nature of adoption, with companies moving from using AI at the fringe of their operations in 2017 to now starting to deploy it in their core processes, especially among the visionaries (executives who say their companies are using AI to fundamentally reimagine their business). The data reflects what we’re seeing with clients. There’s no question that businesses are at an inflection point with their use of AI. The visionaries are beginning to embed AI as the neural wiring for their enterprises. To achieve greater impact, we must change the narrative about lingering concerns. It is critical to educate both employees and customers about AI’s potential, and enable them with tools to take advantage of its benefits. With AI adoption increasing, business outcomes are maturing. Senior executives report more performance-related results like an increased ability to leverage data, greater collaboration, and improved processes and analytics. In 2017, the top benefit cited was cost savings, but in the current study, two purely financial indicators – reduced costs and increased revenues – stand at the bottom of a list of nine potential benefits. Nearly two-thirds of workers say they will be comfortable working with robots in three years, up from 40 per cent in 2017. But senior executives expect more enthusiasm from their employees: an overwhelming majority (86 per cent) believe workers will be comfortable with robots by the end of 2021. Businesses must address this expectation gap when managing their digital workforce. Consumer doubts send a clear signal to businesses—for those insightful enough to tune in. 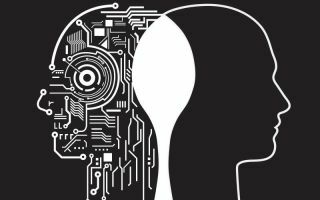 Among top concerns are AI bias (78 per cent of consumers say it is important that companies take active measures to prevent it), and potential discrimination when robots make decisions (cited by 67 per cent). While most businesses are addressing AI bias in some way, only a third of senior executives say their companies have comprehensive governance and internal control frameworks. 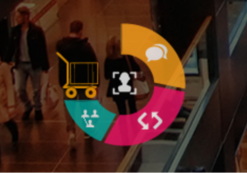 Explainable AI and transparency are key to allay consumers’ fears. Although privacy remains a key concern, consumers are much less worried if they see benefits. More than half (54 per cent) are comfortable with letting companies use AI to access personal data if it improves their customer experience, jumping from only 30 per cent in 2017. Interestingly, pushback on AI has shifted from the corner office to the operations floor. Only 15 per cent of senior executives say there is resistance from the top (C-suite, board, or upper-management), plummeting from 51 per cent in 2017. At the same time, executives see more opposition from entry-level workers, which jumped to 19 per cent from only 5 per cent in 2017. The good news is that an overwhelming majority of workers (80 per cent) are willing to learn new skills to take advantage of AI. Yet while more senior executives say their companies provide reskilling opportunities (53 per cent, up from 38 per cent in 2017), a disconnect remains with workers’ experiences. Just over a third of workers (35 per cent) say their companies offer reskilling options, and less than a quarter say they have participated in such training. For more information about what matters most with AI, and how views have changed since 2017, see AI 360: insights from the next frontier of business. Sanjay Srivastava is Chief Digital Officer at Genpact, a global professional services firm. Previously, as a tech entrepreneur, he built four startups. 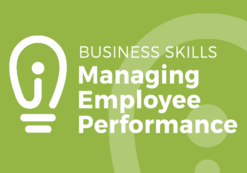 Learn & apply a practical approach to manage the performance of your employees!